With millions of dollars being invested in the defence industry and Treasurer Scott Morrison identifying it as a key player in growing jobs and the wider Australian economy, confidence in future job prospects have been high. But should we be as hopeful as the government suggests? Minister for Defence Industry Christopher Pyne and the Turnbull government have touted their $195 billion decade-long investment into defence industry since the release of the white paper last year, with regular announcements of new projects and funds, such as the Next Generation Technologies Fund, promising to deliver new jobs. 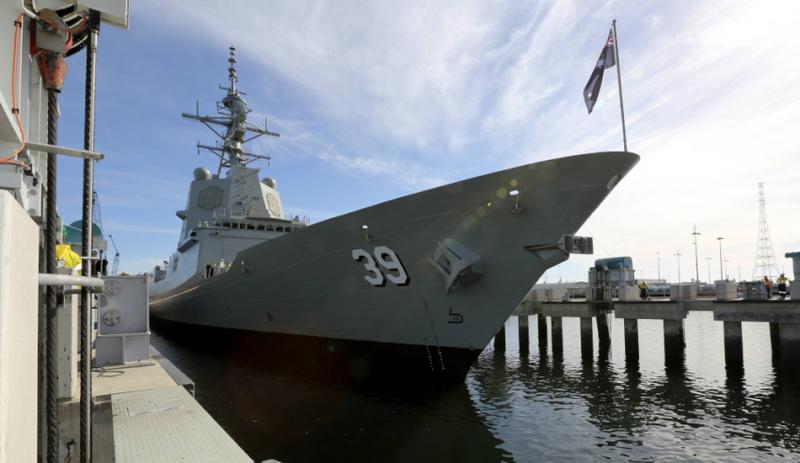 While the ongoing investment in defence may be 'a national endeavour', as dubbed by Minister Pyne, Defence expert Dr Mark Thomson of ASPI said it will be local economies that stand to gain the most. "That's a number of people that are employed, that can make a big difference in a small area though so the impact on the Australian economy is not so exciting, but the impact on a region like South Australia where you're gonna have a concentration of shipbuilding – most certainly the local economy will notice the difference and enjoy the benefits," he said. The Turnbull government estimates around 2,800 jobs will be created in Adelaide for work on the Future Submarine Project. While Dr Thomson said the estimated figures of defence industry personnel falls behind those of other key industries, the future of defence industry is looking bright and on the right path. "Defence industry has about 25,000 people, Australia has about 10 million people," Dr Thomson said. "I think it will drive the Australian economy by a factor of about 25,000 divided by 10 million. So a quarter of a per cent of jobs.